At the time of writing, it’s the last day of January. I don’t know if it’s anything to do with our more mindful approach to marketing, but work-wise, it certainly has been an above average, calmer, more focused January than usual. So perhaps the mindful approach to marketing is having an effect? Have you implemented any of our Mindful Marketing advice? We’d love to hear how this blog series is ‘landing’ (terrible phrase) with you. Add your comment below, or email us. Let’s have a little recap: so far we have covered our calm and process-driven approach to maintaining a vibrant brand identity, developing a healthy social media feed, and building a sustainable content creation method. Today we are covering list building. This tends to be the marketing activity that makes people freak out a little bit. We business owners all feel as if the number of people on your list is in some way a reference point for how successful your business is. Sorry, but we don’t agree with this. The success of your business should be measured by your revenue – or, actually, by your profit – and by how happy you, your workforce and your clients are with what you are producing, not by how many people have chosen to ignore your email once a month. We don’t have a big list compared to other businesses in the same field. But, we have very low churn on our list (unsubscribers). 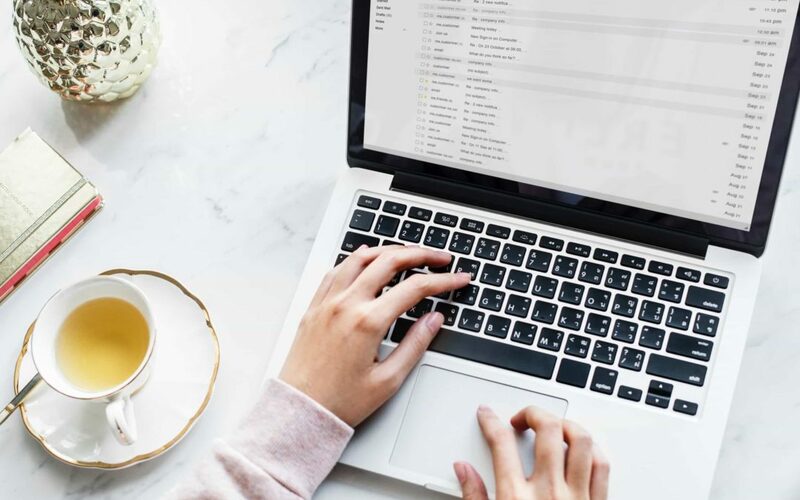 This reveals that the content is of great value to our audience and that’s good because adding value is our number one objective for email marketing. Content for our weekly email (The Drawing Board, you can sign up here if you’d like this content and other marketing advice that we only share by email proactively delivered to your inbox every Wednesday) is laser focused on providing practical advice that readers can easily implement to get a result straight away. Growing your list is important, but we want to keep it mindful, and non-stressful. So, we recommend that rather than diving in head first and trying to do ALL the things, you take them one at a time. Say, one per week over the coming months. Online tech is always more complex than we think it’s going to be, and getting muddled with implementing multiple things at a time is where the stress dragons be. Fine tune your description of what people get out of being on your mailing list and share it everywhere. Never write: ‘subscribe to my list!’, and leave it at that. Nobody actively wants more email. You have to explain to the reader how they should expect to benefit by being part of your community, in order to convince them to subscribe. Write a pithy, benefitty (not a word, but should be) description, and make sure you use it in every place and at every time you promote your list. Never ask people if they want to subscribe to a ‘newsletter’. Newsletter is a very inward focused phrase. By saying this you are effectively asking your readers to receive regular ‘news’ about your business. That’s like meeting someone at a party and saying: ‘So, let me tell you more about me….’ – off-putting. Unless a reader is also a shareholder, they simply will not care about your business enough to prioritise reading your ‘news’. What they will want is regular information to help them achieve their goals and solve their problems. That’s it. So, if you are already sending an email ‘newsletter’, give it a little rebrand, and call it something more cool along the lines of a magazine title, for example, er, The Drawing Board (again, here’s the link. That’s the last plug, scout’s honour!). Strike all references to ‘news’ from your marketing materials. 1. Advertise availability of your value-giving regular email in the email footer of everyone who works for your company. 2. Advertise availability of your value-giving regular email in your social media bios. 3. Update your website so your sign-up box for your value-giving regular email (okay so we can call it a newsletter internally, it’s much easier to type!) is located in the key real estate area of your website. It’s amazing how many websites bury this at the bottom of a ‘junk drawer’ (footer). 4. On your website, offer a 10% discount on next purchase (or similar special offer) to new email subscribers. 5. Create a flyer repeating the 10% discount offer and hand it out wherever you go (networking, trade shows, conferences). 6. Create a social media graphic that you regularly include on your social media platforms to promote the benefits of being on your list, and offer the 10% discount for new list subscribers. 7. Include the link and offer on any offline marketing materials, including invoices, brochures, adverts, paid editorial copy. 8. Whenever you give a talk, refer to how useful your emails are. If you are a mailchimp user you can also use the MailChimp Subscribe app to connect your MailChimp account, create a customisable form, and start collecting subscribers on your tablet when you are out and about. Thanks to Alice Jennings for this tip, it works brilliantly. 9. Think about any businesses you know that have a similar community to the one that you are trying to build. Offer to do some cross-promotional marketing. Promote each other’s content in a joint Facebook Live, podcast, live event, guest blog or an email going out to your business pal’s mailing list where he or she promotes an activity that you are running, such as a webinar. You can offer a referral fee for any clients that you attract by doing this, if you think it will make it more enticing for your partners. 10. Start a Facebook Live challenge. Talk live, every day for five days (for example) about the steps to resolving one simple issue that you can help your dream client to overcome. During the Facebook Lives promote a lead magnet (downloadable content that can be received in exchange for an email address) that the audience can use to follow along or catch up with content from any Lives they may have missed. Make it clear that the download contains much more information than you are sharing on video, and that it will save them from having to take notes. Make getting this thing an absolute no-brainer. These are just a few ideas to get you started. There are many more ways to grow your list. Don’t expect it to happen instantly though, good list building takes time and focus. If you have more ideas, we’d love to hear them! Comment below and share some list-building love. Stay tuned for more Mindful Marketing, next time a thorny subject: measurement – how to track what you are doing to find out what works and what doesn’t.